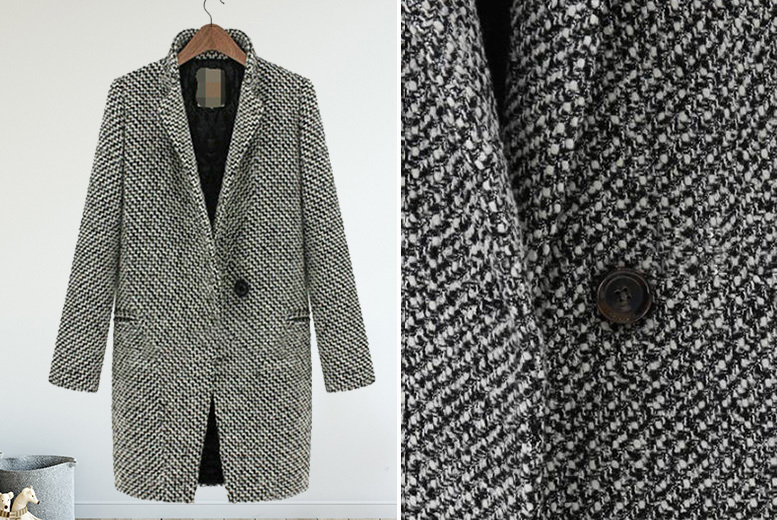 Keep warm in a textured buttoned coat! Coming in a white and black colour. Available in UK sizes 10-18. With a small lapel and one button closing. Perfect for getting cosy this autumn!